3 Bedroom Upper Floor Flat For Sale in Greenock for Fixed Price £65,000. 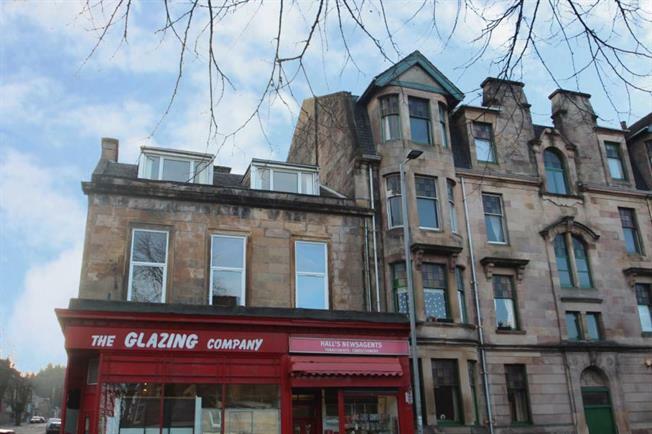 This traditional 1st floor tenement flat occupies a convenient location within the heart of Greenock's West End. The flat comprises of spacious and flexible accommodation which is sure to appeal to a variety of discerning purchasers. The property requires a degree of cosmetic upgrading which is reflected in the competitive asking price. The property extends to an entrance vestibule leading into a welcoming reception hallway incorporating storage. The bright and exceptionally spacious front facing lounge looks onto Finnart Street and has retained ornate period features. The kitchen is also well proportioned and offers ample storage as well as an integrated gas hob, oven and an extractor hood. The property further comprises of three double bedrooms and a four piece bathroom incorporating a separate shower enclosure and wall mounted shower. The specification includes gas central heating, double glazing, and communal rear gardens. The town of Greenock has a wide range of local amenities including high-street shopping, with several supermarkets and high-street banking. There is established schooling at both primary and secondary levels. Recreational amenities include several play parks, sports centres and 'The Waterfront Centre' swimming pool, ice rink and gym. There are a range of golf clubs within the local area, modern yacht marinas at both Inverkip and Largs and access to Clyde Muirshiel Regional Park. There are several railway stations, offering access to Glasgow Central and the area is well served by local bus routes.